Wow! 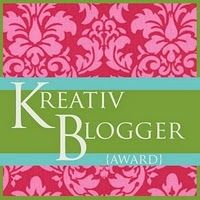 Today I was given the Kreativ Blogger award by Kirsten at the Geeky Owl Thank you! I am so excited! I never win anything! 1. Name your favorite song. I have so many favourite songs that it is hard to pick just one but i really love Wanted Dead or Alive by Bon Jovi, November Rain by Guns N' Roses and Starlight by Muse to name a few! 2. Name your favorite dessert. 3. What ticks me off. I cry really easily, I store everything up though and won't tell people why I am crying. 5. What's your favorite pet. Cats! I also really want a pet Tortoise but I don't know if that will ever happen! I try to be nice and a happy person, people say I am quite funny too. Everything. I try to reach perfection in everything i do. Apart from nail polish? I don't know. 3. I love classic rock and metal music. 4. I am doing an English Literature degree so have read more books than i can possibly say. Each year as part of my course i have to read about 60 books plus the ones i read for my own pleasure. 5. I am an avid writer. I write an edit for my my local newspaper and have also had my work published online and in magazines. Also I write poetry which I am lucky enough to have some of that published too! I am currently in the process of Editing a anthology of poetry too. 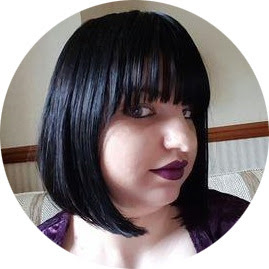 I am also half way through my current novel but my passion lays in screenwriting and i am half way through writing my first series :) I also run my Students television news channel. 7. I love playing games. I love my 3DS so much, also play loads of games on my laptop. I enjoy HOGs (Hidden Object Games), Puzzles games and The Sims. I have to pass on award, but I am not going to name people. Grab this if you want to!